Fires can occur naturally in woodland or brush, ignited by heat from the sun or a lightning strike. However, the vast majority of wildfires – as many as 90% worldwide – are started by humans, according to experts. The cause could be barbecue charcoal, a discarded cigarette or even arson. As long as there is fuel and oxygen available, the flames can take hold easily. “It was a really terrible situation here,” said Finnish tourist Jaakob Makinen. “We had to run away from the hotel, we ran through the beach, along the beach and then we were caught by fire, so kind of surrounded, we had to go into the water.” reported to News agency. In a vitriolic post, Bishop Ambrosios of Kalavryta said it was the wrath of God because Greek Prime Minister Alexis Tsipras is a stated atheist. It drew a sharp response from the Church, which distanced itself from the Bishop’s remarks. 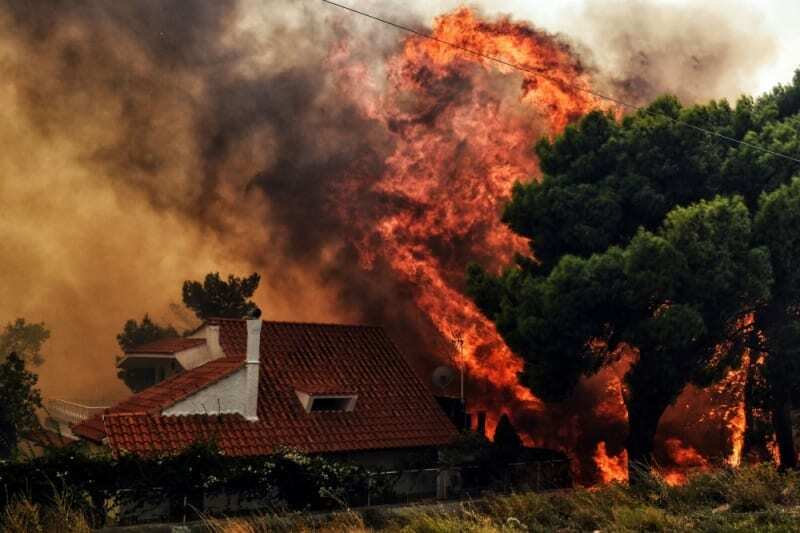 High winds spread the fire, trapping many in homes and vehicles and forcing others into the sea as they tried to escape the flames. As desperate search for survivors continues. Tsipras declared three days of national mourning.